I also own and run laser cutters and engravers as well as a large CNC Router which is part of T's Laser and CNC Service's. 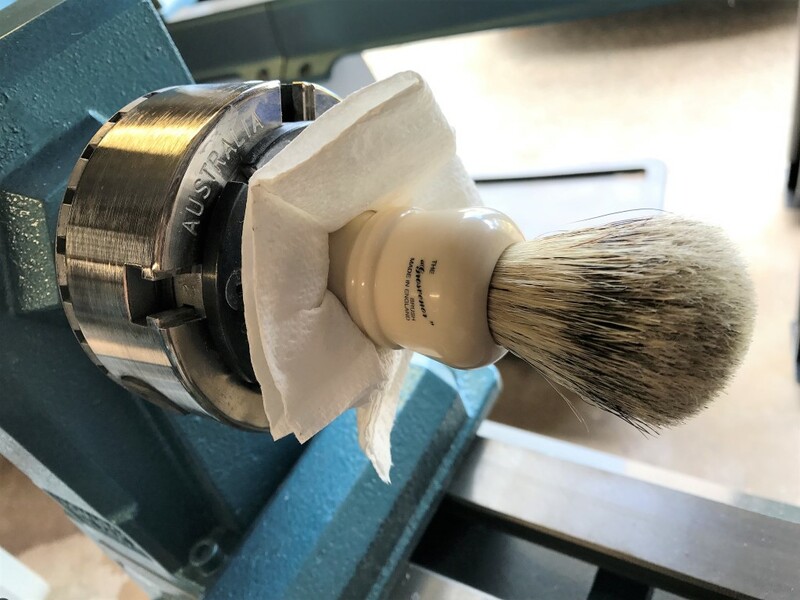 We have a fully fitted woodworking workshop (T's Turnings) for all things woodworking and thanks to some members here on P&C I am now venturing into this wonderful hobby and interest of our's being traditional wet shaving with our very new small business TF Custom Shaving Brushes, and by the way I wished I had tried wet shaving many many moons ago. Better late than never though. 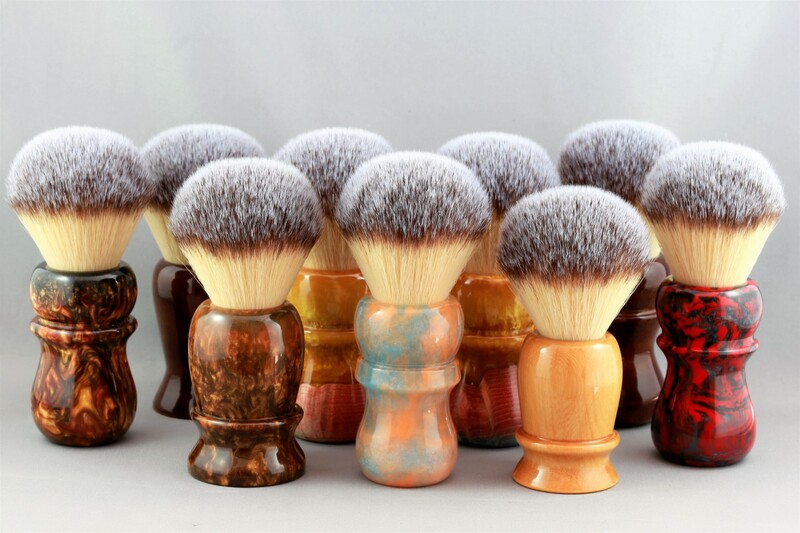 We are now offering full Shaving brush services from New Brushes to Re-Knots and everything in between. 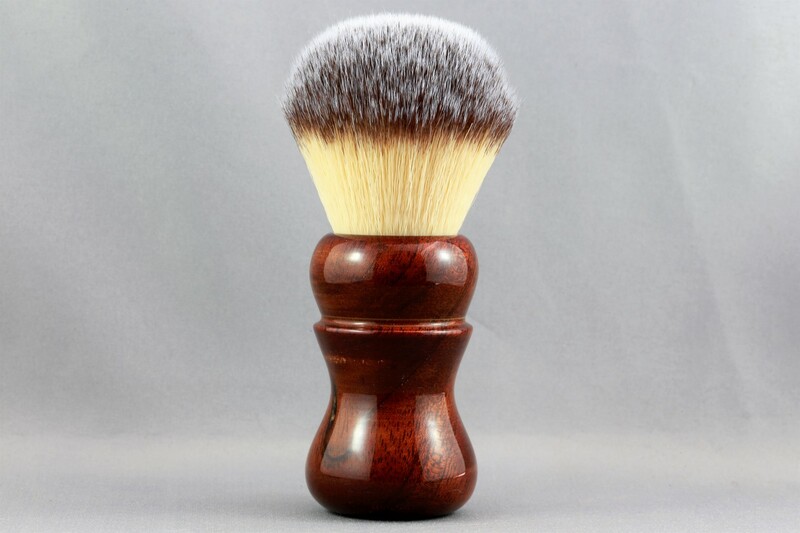 Our plan is to keep bringing you new colours, materials and designs and along the way maybe some custom made Australian timber furniture for your shaving equipment needs. 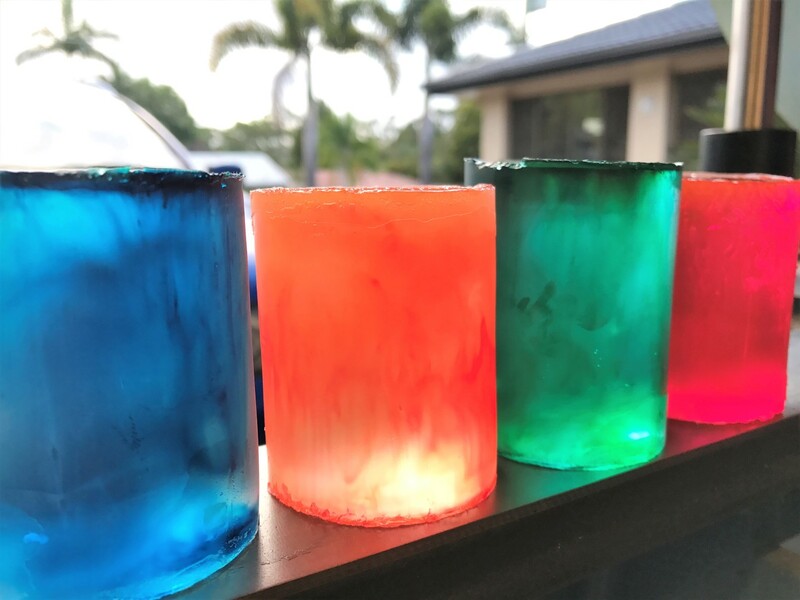 So stay tuned and please support and keep supporting our small local Australian Artisan business because without you we have no business. 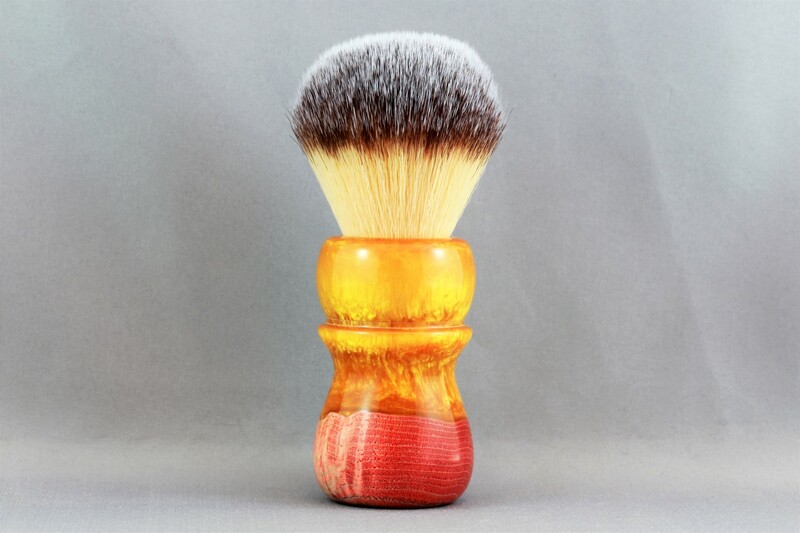 Now to open with some photographs of our newly finished Custom TF Sythetic Shaving Brushes. Man, you are making this sabbatical extra hard. Sorry mate !! but I plan on being around when you come off sabbatical if that's any help to you. What are those synthetic knots @Tony Forsyth? Do you have dimensions? 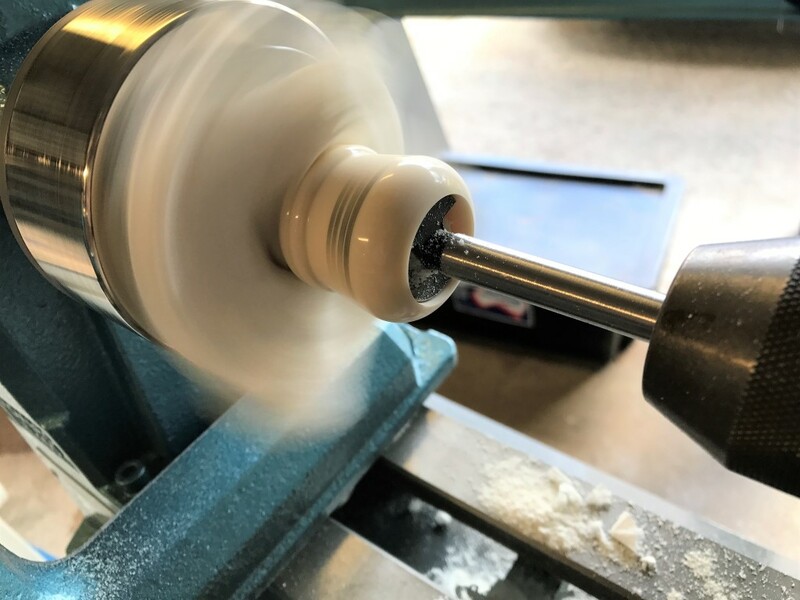 Great work @Tony Forsyth - really impressive how you've turned your hand (and your lathe) to this new product - well done mate! 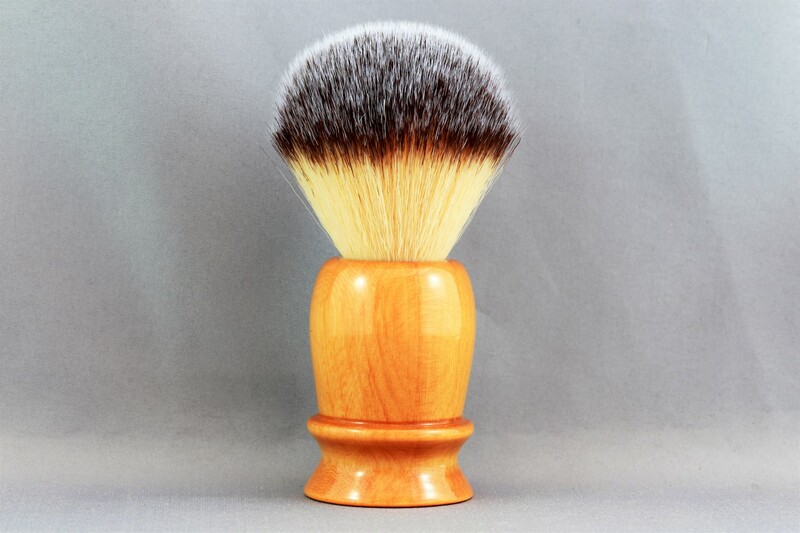 Some timber brush and razor stands / holders may be something else you could consider. Hopefully when my sabbatical year ends I will be able to indulge ! 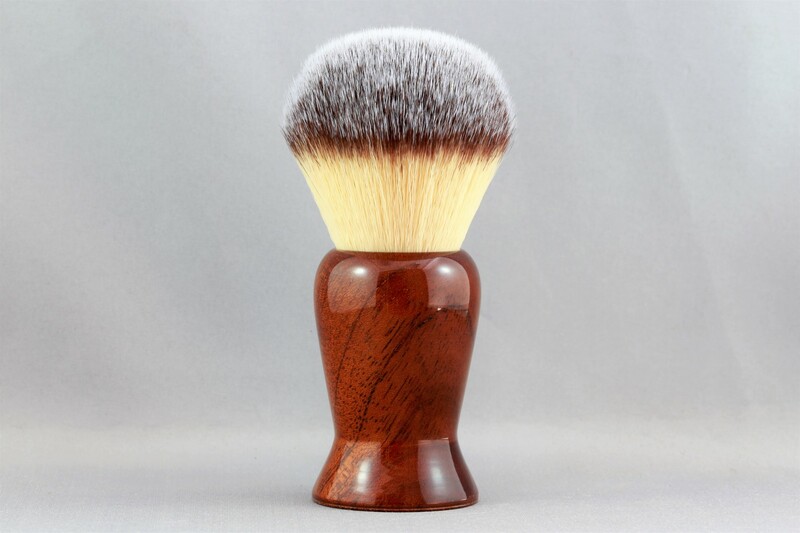 Thanks mate, Thats what the last part of my spiel above relates to "Australian Timber Furniture" for your shaving equipment so any nice designs or requests throw them my way for sure. and here I was thinking @Korbz was just stockpiling soaps for the apocalypse. 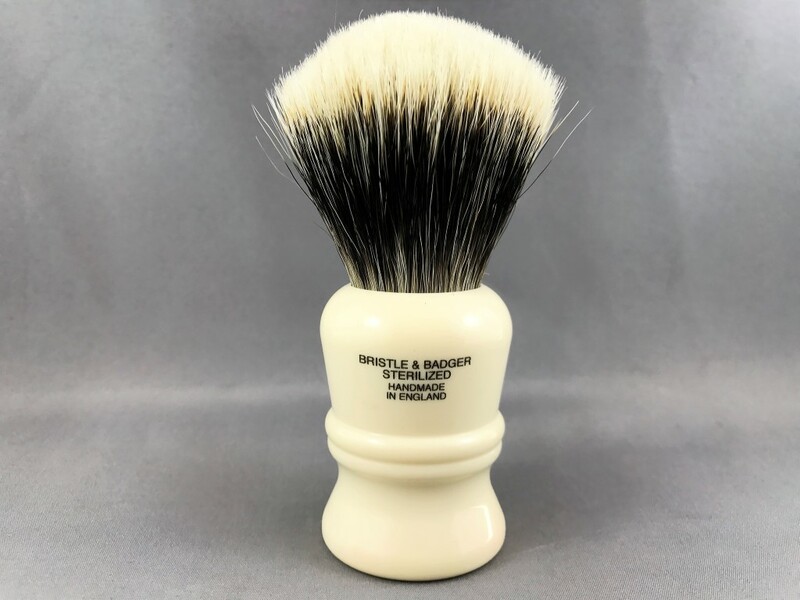 Decided I would start showing some of our Re-Knot works here instead of cluttering other threads So here is one that we done for @Young Buck, you have a mighty fine little brush there now !! 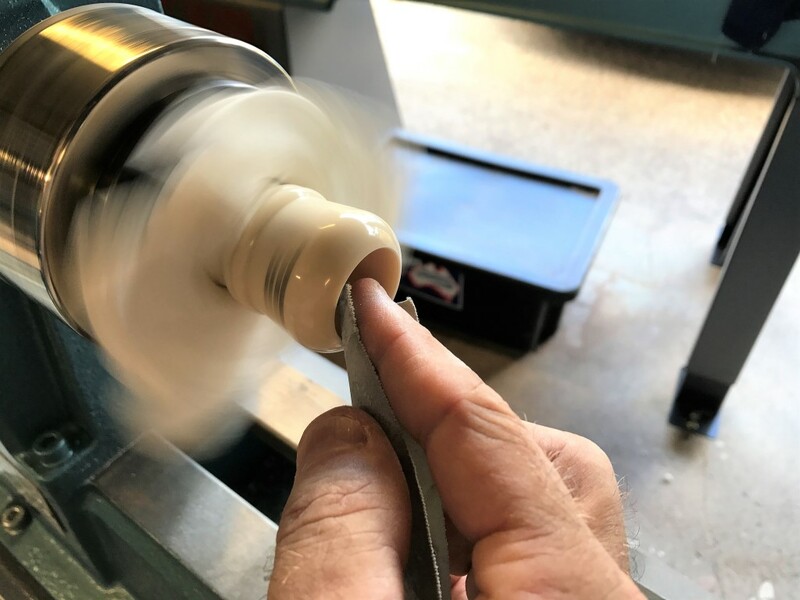 Carefully re-chuck the handle to spin on centre using some soft paper towel for protection against marking the handle. 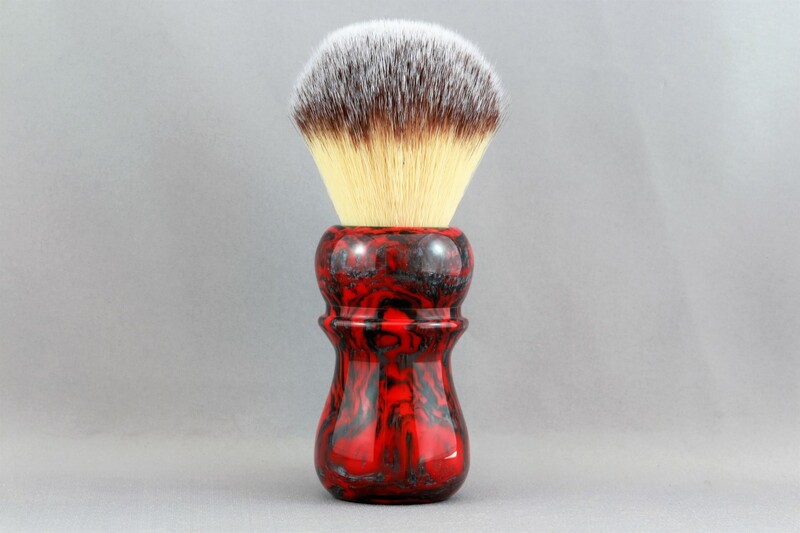 Next was to cut the bristles from the brush as close to the top of the handle as possible. 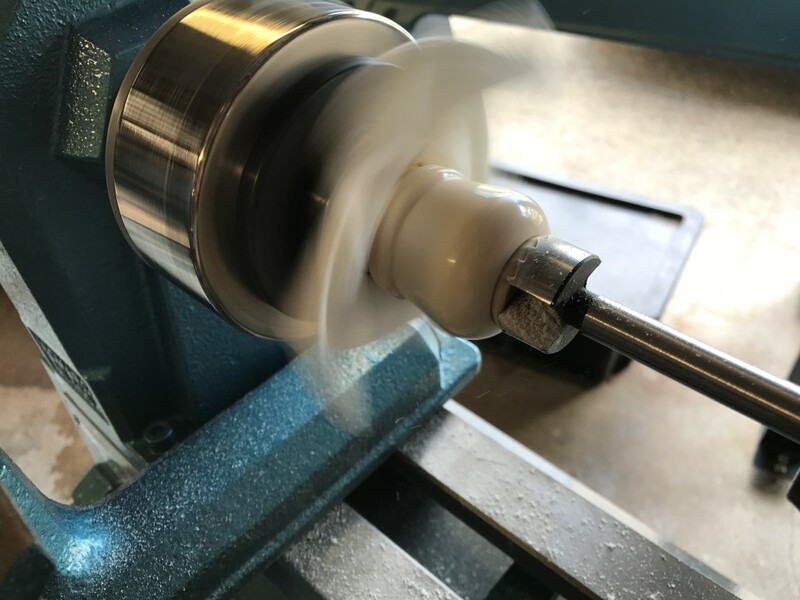 Then we set up a fostner bit and jacobs chuck to the correct size for drilling out the base of the knot and to provide the correct socket size to accept the new knot. Not much bristle from the old knot left !! During drilling we keep checking the depth using a steel rule to ensure we get the correct depth to provide the loft required. 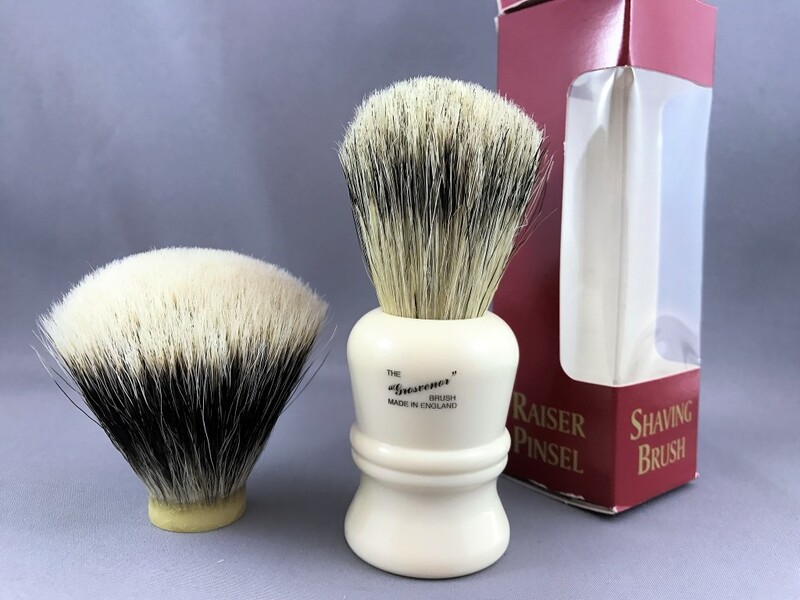 Sanding of the razor sharp cut edge is a must to ensure that the outer bristles of the brush are not damaged during use. And here is the finished result. 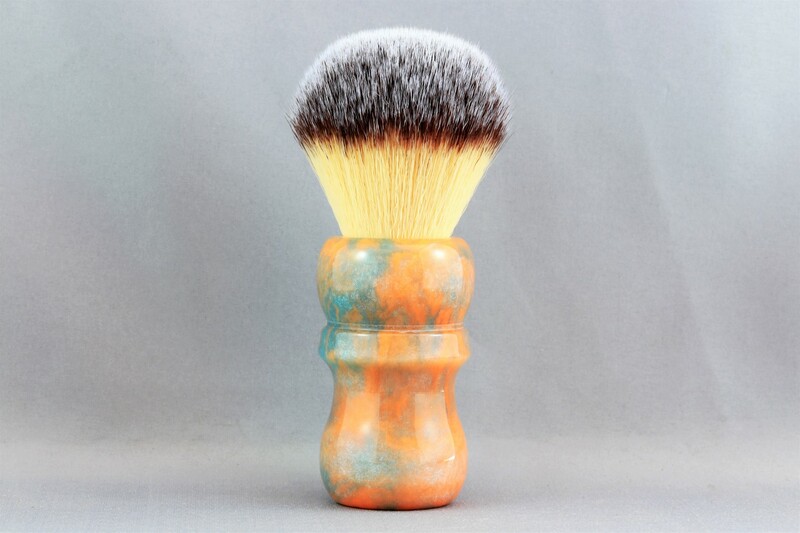 @Young Buck your brush will be Express post to you first thing Monday morning, Enjoy !! and thanks for your business. I'm am so looking forward to this! 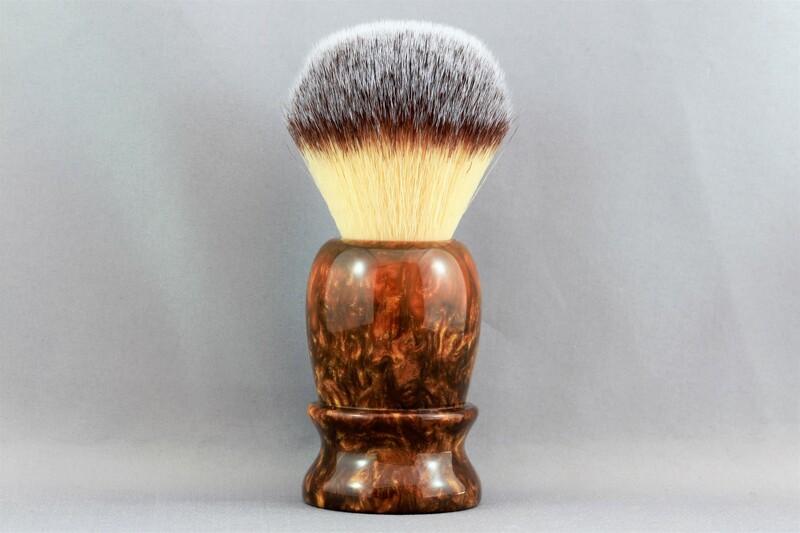 You look like you have taken great care with my brush and turned into something truly great! 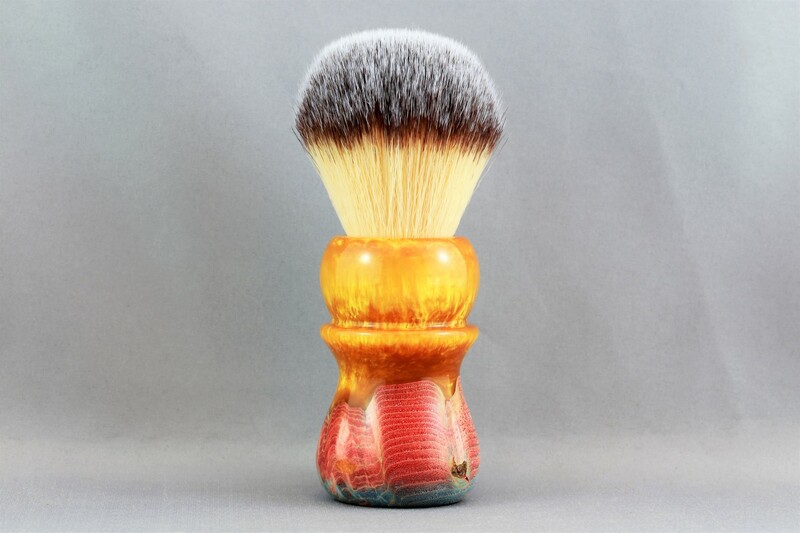 Hey Tony we need the final picture of the completed brush !! 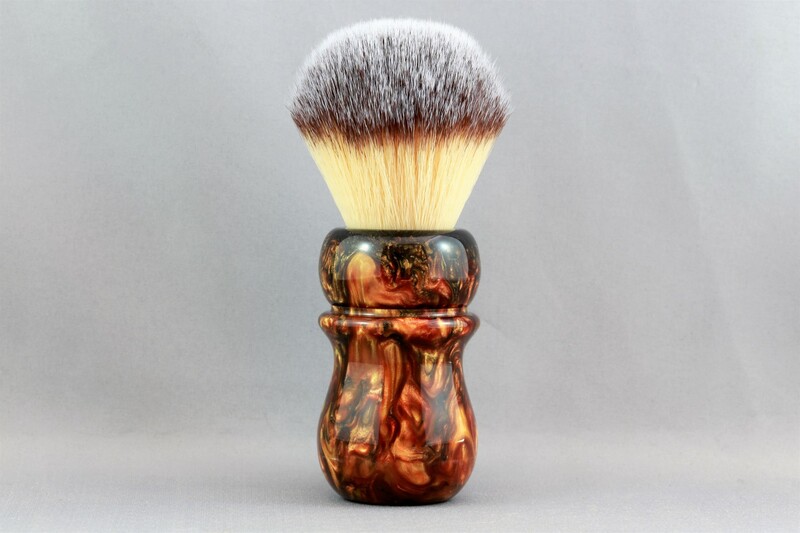 For those gents interested in replicating this brush it's a vulfix 404 handle with a 24mm Romera Manchurian knot. Knot has been set at a 50mm loft with a 26mn opening to allow for some splay and good flow through. Whilst I obviously haven't used it yet the knots sold by Romera are highly acclaimed. Atrocious service unfortunately. The knot was sent completely loose in a one ply Jiffy bag all the way from Spain. Not a badger boar mix like the original is it? Is a shame that knot bit the dust. BTW, is the 404 a Mayfair? The Mayfair is another handle. Slightly narrower knot again. The 404 Grosvenor is often thought of as a duke 4 in size and shape. 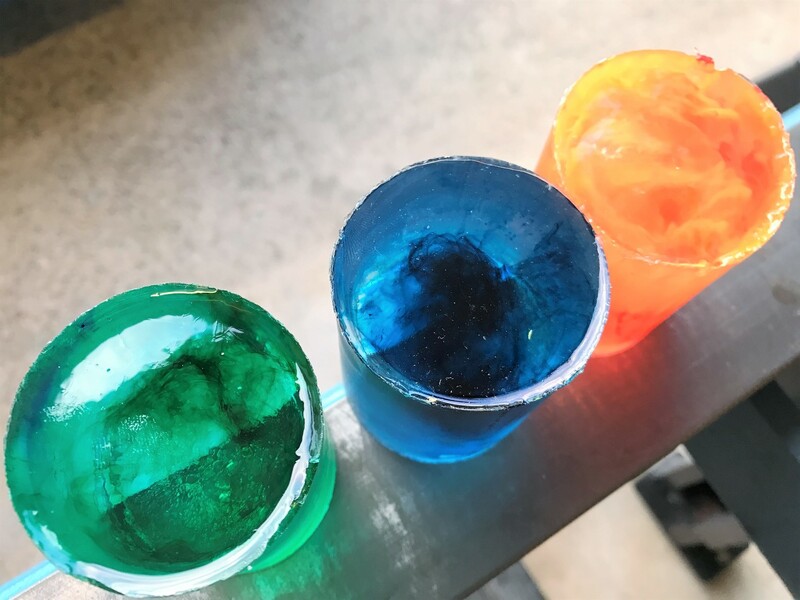 Can't wait to see how these turn out mate!